It’s a BONUS episode this week and Kelly is flying solo! Caroline is getting ready to move and so Kelly is chatting all about Facebook for product based businesses with Courtney Foster Donahue a whiz at everything Facebook! Back in the summer of 2017 Kelly took Courtney’s free Facebook video workshop series and it changed everything for Kelly’s FB strategy and now Courtney is offering this free series again! Listen in as Kelly tells her story and Courtney busts some common FB misconceptions and gives some great tips for product based business owners! 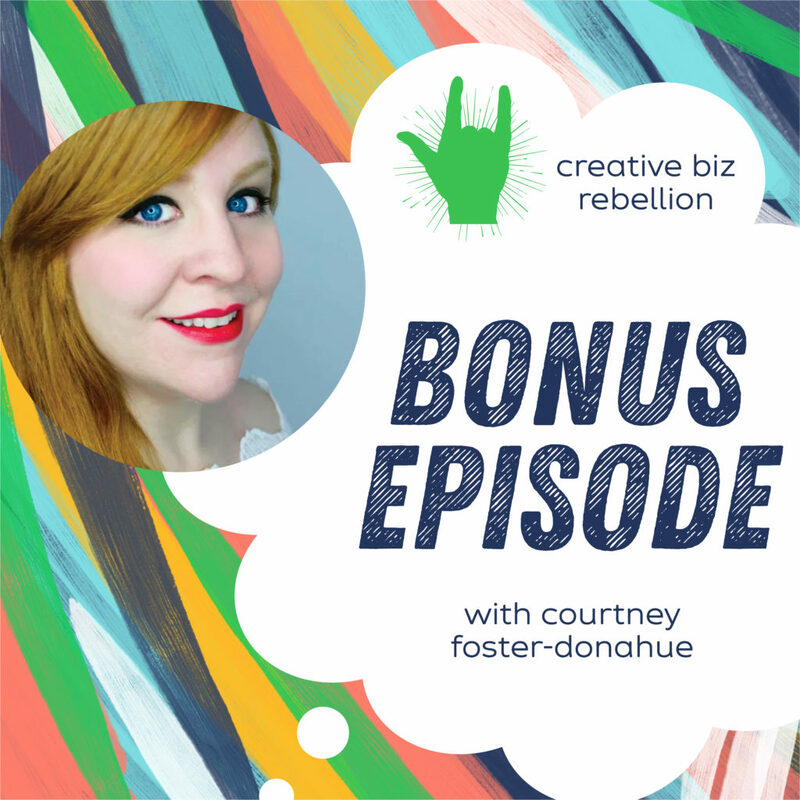 Courtney Foster-Donahue is an Atlanta-based four-time entrepreneur as well as a business, branding, and social media strategist who specializes in video content creation and Facebook marketing and advertising. She helps entrepreneurs of all kinds through a variety of online programs and content, including her acclaimed courses SEO in a WKND™, Visual Branding Basics, DIY Video Basics, OBS Success, and her signature program, FB Everything™. Leveraging a 20 year career as a professional stage and screen actress and singer, Courtney also synthesizes her talents and skills as a performer to helps others build their brands using both strategy and storytelling.